I chose this recipe from an historic cookbook I recently found and purchased called, The United States Regional Cook Book, edited by Ruth Berolzheimer, 1947. According to the introduction to the book, this cookbook draws from ten different American regions and is therefore actually "ten cookbooks in one." The regions comprise New England, Southern, Pennsylvania Dutch, Creole, Michigan, Mississippi Valley, Wisconsin Dutch, Southwestern, and Western. There is also a section on "Cosmopolitan America". 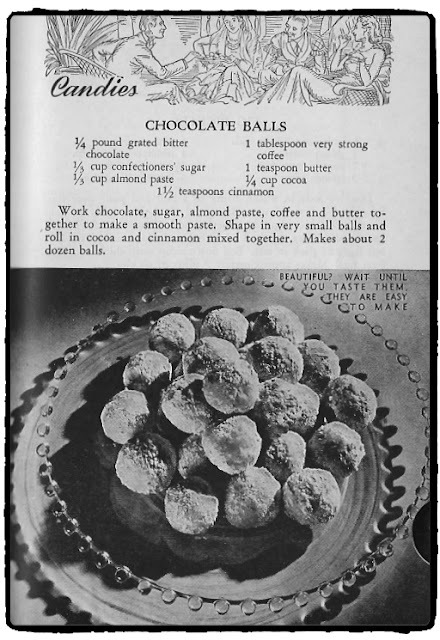 This recipe for Chocolate Balls comes from the Southwestern Region based, I am speculating, on its use of chocolate and cinnamon. 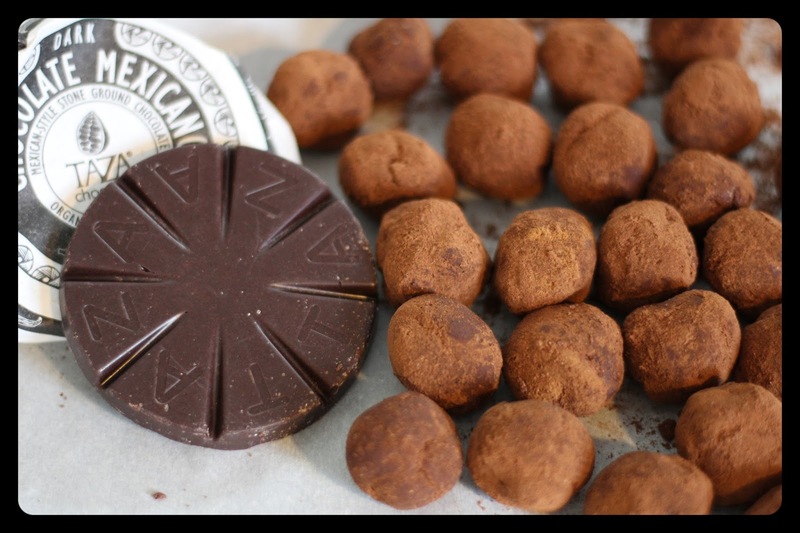 As a result, I chose to use Taza stone-ground chocolate (the 50% vanilla variety). I like that this recipe uses cinnamon with the chocolate, coffee, and sugar because it gives the balls a complexity of flavors. Did the grittiness of the Taza come through the final product? That's been my problem with all of Taza's products in the past. The grittiness did come through a bit but the almond paste smoothed the texture enough so it's not too noticeable. I like a little bit of grit anyway. I've been grinding my own chocolate on a mano e metate so I guess I'm used to it. These look delicious! And would definitely make a great discussion dessert at a party . . .
Barm Dumplings: A Truly Barmy Experience!